Hungarian born Tibor Rudas survived a concentration camp to eventually become the great impresario who produced “The Three Tenors”. Before making Pavarotti rich and himself famous with the concerts starring Pavarotti, José Carreras and Plácido Domingo, Rudas had a dance school with his Rudas Acrobatic Dancers preforming all over the world. 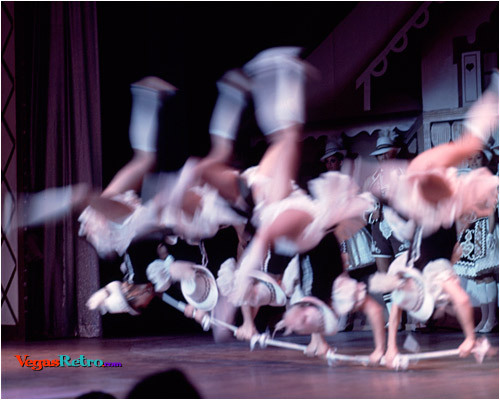 The Folies Bergere at the Tropicana Hotel in Las Vegas featured his dance troupe in this 1972 "bodies in motion" photo of the Folies Can-Can dancers in action.